양산읍의 여러 무덤들 가운데 가장 남쪽에 있는 무덤들로, 양산 북부동산성(사적 제98호)이 자리잡은 동산 일대에 있다. 분포 형태는 산등성이를 따라 큰 무덤들이 줄을 지어 있고, 그 주위에는 작은 규모의 무덤들이 모여있다. 현재 유적이 입지한 구릉 일대는 소나무숲이 형성되어 있고 유적 중간 부위에는 체육시설과 산책길이 만들어져 있는데, 그 과정에서 많은 수의 무덤이 파괴되었다. 그 주변에서 단경호, 유개고배 등 약간의 토기류가 채집되었다. 체육시설 근처에는 무덤 1기가 파괴되어 무덤 안의 일부가 밖으로 드러나 있다. 또한 무덤의 대부분은 일제시대에 도굴·파괴되었으며, 학술 조사가 이루어지지 않아 무덤들의 성격을 파악하기는 어렵다. 파괴되어 있는 모습으로 볼 때 앞트기식돌방무덤(횡구식석실묘)과 구덩식돌덧널무덤(수혈식석곽묘)으로 5∼6세기경에 만들어졌으리라 추정된다. 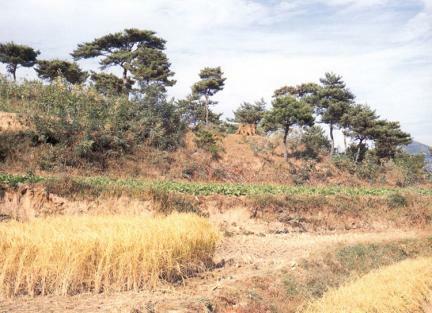 This group of tombs is located in the southernmost part of several groups of tombs in Yangsan-eup. 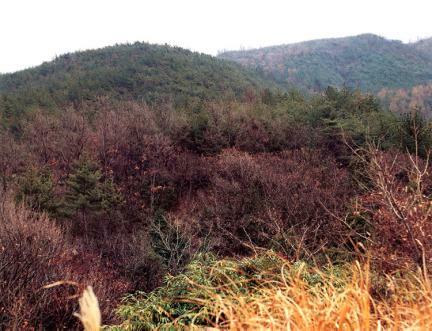 Those were placed in the area around Dongsan Mountain occupied by the fortress wall of the Northern Dongsan occupied. 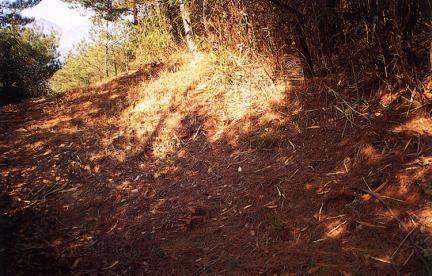 Large tombs are situated along the ridge continuously, with small tombs clustered around the area. Because of recreational facilities including a promenade are located here, lots of tombs were destroyed. Pottery like Dangyeongho or narrow-mouthed jar, and the dish with the lid were collected around the area. One tomb around the recreational facilities was destroyed, so the inner part of the tomb comes into view. Most of the tombs were dug out illegally and destroyed; moreover, it is difficult to grasp its characteristics because no research has been done. Judging from the broken states, the form shaped the stone chamber tomb and the stone-lined tomb, which are considered to have been made around the 5th and the 6th centuries.